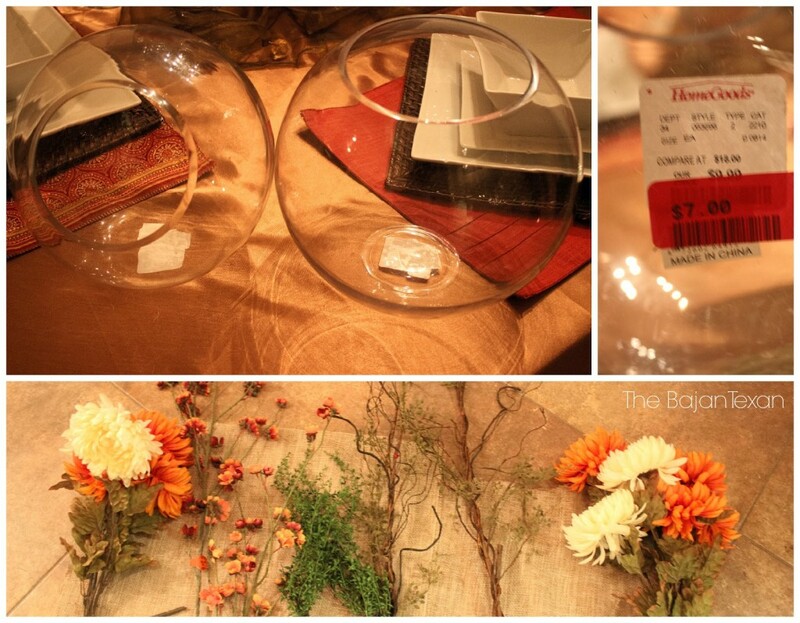 Today I’m sharing a DIY Thanksgiving Centerpiece, perfect for any fall tablescape. I was contacted by Cherie at the amazing LiveLoveLatte to do a YouTube challenge video. The challenge was to use clearance items from TJ Maxx or one of its sister stores Marshalls or HomeGoods, to create a cheap yet amazing tablescape. The whole point was to show our viewers that clearance items are great and you don’t have to spend a lot of money to get high impact with your holiday tablescapes or decor. I hope you enjoy this video tutorial and can put together your own DIY Fall centerpiece! I took a trip to Marshalls HomeGoods and found these two round glass jars, they were both on clearance for $7 each! Score! I picked up a large one and a medium one that stood on its side. I also picked up some stems from Hobby Lobby for 50% off and used some flowers that I already had from another project. Using those flowers and some burlap I was able to transform those plain glass jars into this Thanksgiving Masterpiece. 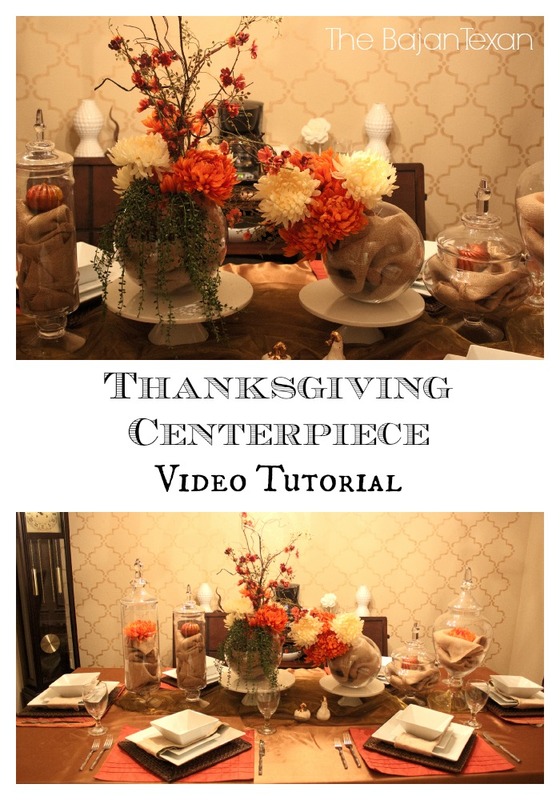 Now on to the video tutorial, so you can not only see the transformation but learn how to do one for your own Thanksgiving Table!